Kaspersky Lab Products Remover - утилита позволяет корректно и полностью удалить из системы ранее установленные продукты производства Лаборатории Касперского (Kaspersky Internet Security, Антивирус Касперского, Kaspersky PURE, Kaspersky Password Manager и т.д.). В процессе удаления продукта Лаборатории Касперского с помощью стандартных средств Windows (Панель Управления -> Установка/Удаление программ) могут возникнуть ошибки, в результате которых программа не будет удалена или будет удалена частично. Данная утилита решит эту проблему. Утилита удаляет все данные о лицензии. После ее применения вновь установленный продукт необходимо активировать кодом активации. 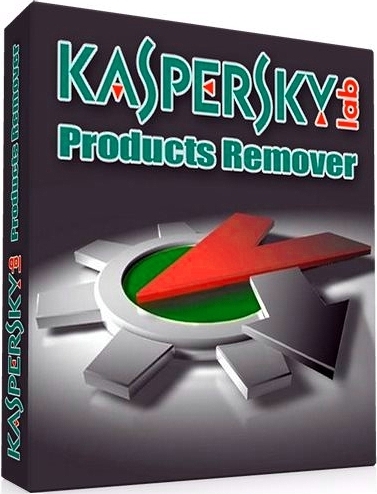 Kaspersky Products Remover easily uninstalls most Kaspersky products completely from your machine. If an error occurs when uninstalling a Kaspersky Lab product with Windows (Control Panel --> Programs and Features), then download and launch the free tool KAVremover. Kaspersky is one of the leading antivirus companies with a very good background in antivirus solutions.Kaspersky offers its customers state of the art antivirus solutions and security products to keep their systems safe from all kinds of digital threats. Unfortunately, when you try to uninstall these products via the built-in uninstaller in Windows, various errors may occur. The applications might not be uninstalled completely and remnants of the programs may still be found on your system. Kaspersky Anti-Virus Remover is a small utility that enables you to easily uninstall various Kaspersky products from your computer. The application can remove the following programs from your PC: Kaspersky Small Office Security 2 for Personal Computer / for File Server, Kaspersky PURE / PURE R2, Kaspersky Anti-Virus (all versions), Kaspersky Internet Security (all versions), Kaspersky Password Manager (all versions), AVP Tool driver and Kaspersky Lab Network Agent 8. By default, the application automatically detects Kaspersky programs and offers to uninstall them. However, if the product was not detected, you can manually select it from the given list. When you are not sure about which Kaspersky product is installed on your machine the Remove all known products option can come in handy. Selecting it automatically removes all traces of all the supported applications from your system without the need of pointing it to any of them. After you have chosen the desired product you have to enter a security code in order to start the removal process. If you want to safely uninstall your Kaspersky products and remove all traces from your hard drive, Kaspersky Anti-Virus Remover will do the trick. 2: Boot your computer in Safe Mode. 4: Restart your computer after the utility completes.